POLITICIANS were accused of stealing young people’s future and leaving them to “clean up your mess” due to inaction over tackling climate change. It comes after a protest in recent weeks that saw school children around the world go on strike in protest at a lack of action by adults to address global warming. But she said: “You guys grew up worrying what jobs you’d get, how you were going to do in exams, and who you’d fall in love with. Ms Mohammed argued that the root of the problem is “greediness and money”. She added: “You know earth has already warmed by 1.1 degrees Celsius since the end of the Industrial Revolution yet you continue to look at us and saying to us that we are proud of you. “You give us compliments on how amazing it is that school children are standing up for their futures. You said you were inspired and enthused. “Your compliments are worthless to us without actions. Ms Mohammed added: “You’re stealing my future. “You aren’t realising that if we fail there is no undo button. 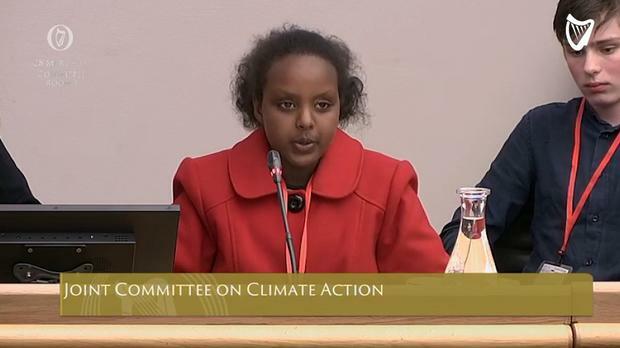 Ms Mohammed was among a number of students who spoke at the committee this afternoon.